Gh0stBlade wrote: Mesh importer is available in the first post of this topic. I'll check it when I get home. Very likely a format error. Updated script available in first post, should fix issues loading certain skeletons. Last edited by Crazy31139 on Thu Nov 08, 2018 12:10 pm, edited 2 times in total. What am I doing wrong? Is it possible to increase the buffer size? Edit: Just saw whose birthday it is today. The correct skeleton file is Section 22.dtp... For some reason the model has out of range bone indices. It would help if you told me the exact DRM file name. Gh0stBlade wrote: It would help if you told me the exact DRM file name. Sorry, I thought the problem was at my end. It's about "paperdoll_piece_tr11_lara_explorer_legs" (skl:Section 387) and "paperdoll_piece_tr11_lara_explorer_torso" (skl:Section 388). It's because you are loading the wrong section as the skeleton file. Gh0stBlade wrote: It's because you are loading the wrong section as the skeleton file. I thought the "0B" is the "0x0B000000" you were refering to earlier. And it also worked until the issue with lara-explorer: I got several skeletons for the various animals by looking for said "0B". Has something changed or is "0B" just not the dead-sure way of identifying the skeleton that I thought it is? Because 0xB isn't really the magic. Most skeletons start with it though. The real way to do it is looking for bones in a hex editor. Quite tedious if you ask me. Hi! Many thanks for the tools! Your work is highly appreciated!! Sorry for bothering you, but I don't understand how daemon1's Purehair tool works... Could someone help me, please? Thank you. Nihyaku wrote: Hi! Many thanks for the tools! Your work is highly appreciated!! Many thanks for your prompt and clear reply! 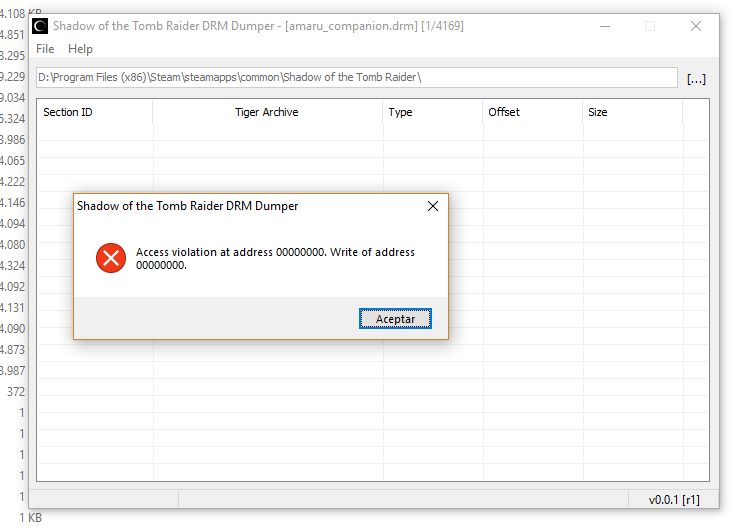 I tried other files (for example "tr11_lara_hair_swampthing_loose") and I receive the same message. is anyone can help me please to fix this?